I have recently been appointed to sell P&C to diversify my agency's income. I have 22 years of experience selling Individual and Group Health and Medicare Supplements / Advantage plans. But must admit the home and auto are NEW to me. Is there any P&C 101 threads to read on this forum? Where can I find good how to's or online training? Yes, I have the same "Sell and Grow" tab. I have perused this area of the site and will some more. Thanks for your reply. How did you guys get a safeco appointment without any experience? Safeco is becoming the Progressive of town. They will appoint anyone for a chance to write some business. 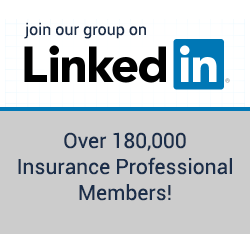 Correction, I have 22 + years of Insurance Sales experience and book of business 1000 members strong. Sorry, I thought my question was clear. How did you get a safeco appointment with no home or auto experience? Apparently (not this post), anyone can now get an appointment w/ Safeco as long as you are not in a coastal area and have a pulse. Honestly, I told them what I just told you. I have many years of experience, a large book of business and a desire to diversify my agency due to the Affordable Care Act. I also told them I was being recruited by several large agencies in my area but wanted to remain independent. You sound like me, I started my agency in the end of 2011 because we saw trouble on the horizon for health insurance. Safeco was one of my first appointments along with Progressive. Best decision I ever made to diversify. Question for AAA Appointed Agent !